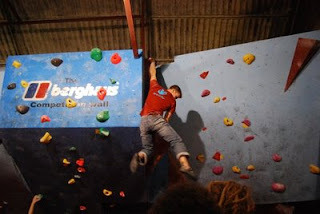 The results of Friday's Berghaus Bouldering League R3 is now available on the website. You can also read Percy's blog from SaturdayÂ for the fight for the credit crush £50. One of the funny things we've noticed is the amount of scorecards handed in is about half the amount of actual people doing the competition. The results have 40 or so names on it (scorecards handed in) while the actual amount competing was around 80. Maybe some people are just shy? 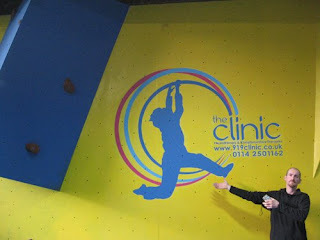 Round 4 will be held on Friday 13th February and it will also be the last round of the Sheffield Walls Bouldering League so expect some quality problems and another cracking night. All the rest of the circuit walls are now open and have been fully reset, almost 40 problems in total so nearly a new circuit.